Well this is most certainly not the case, since Kodi has an awesome and active developing community designing lots of addons for it. 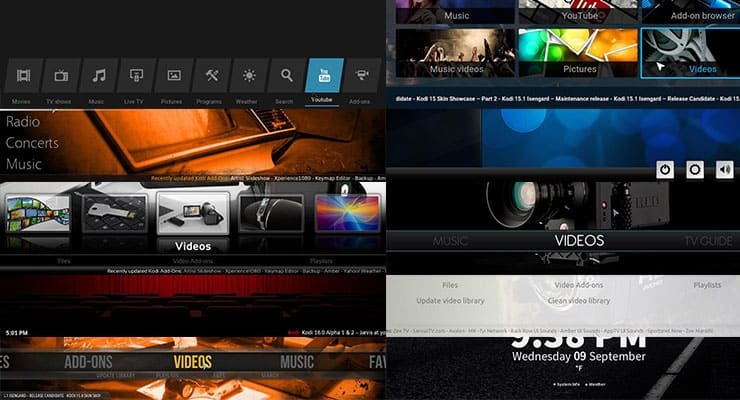 These addons include skins that could only be labeled as Kodi skins for tablets and smartphones, since their primary use is with touchscreens, and they seem to be really good at offering you enhanced comfort when browsing your media with Kodi on your favorite touchscreen device. Want to know what are these skins that will boost your Kodi experience on your latest mobile device? Read on to find out. 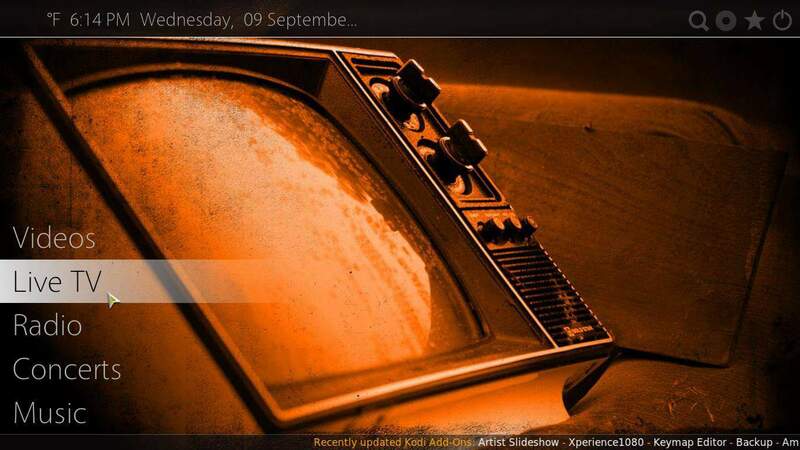 This is one of the Kodi skins for tablets which is also included on the Kodi official repository. 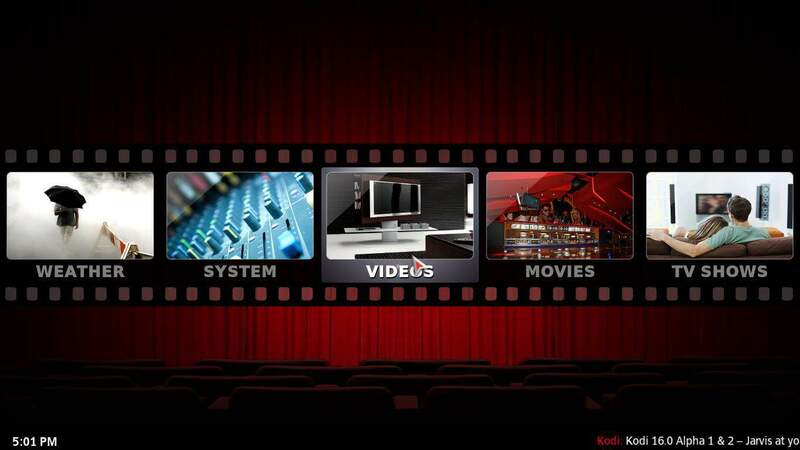 Back Row Kodi touchscreen skin places you in a virtual cinema, and is in fact developed with that theme in mind. Menus are reel tapes, and backgrounds are curtains and countdowns similar to those of the old movies. 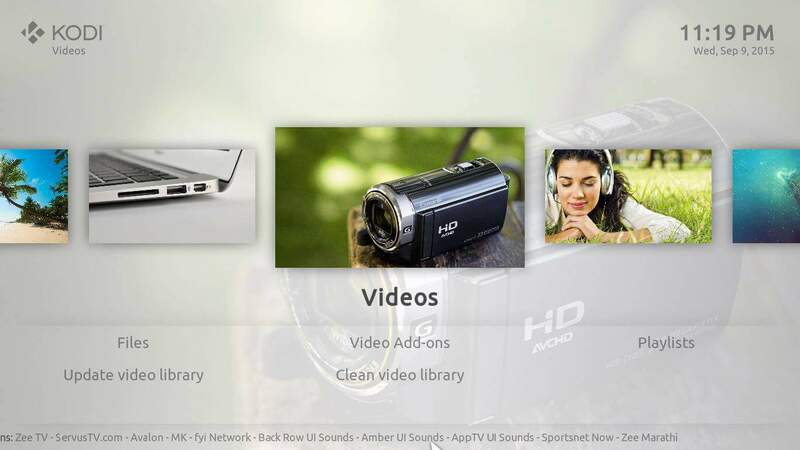 When browsing things such as video addons, you will see the logos at a decent size on the screen, ready to be tapped in order to launch the desired addons. 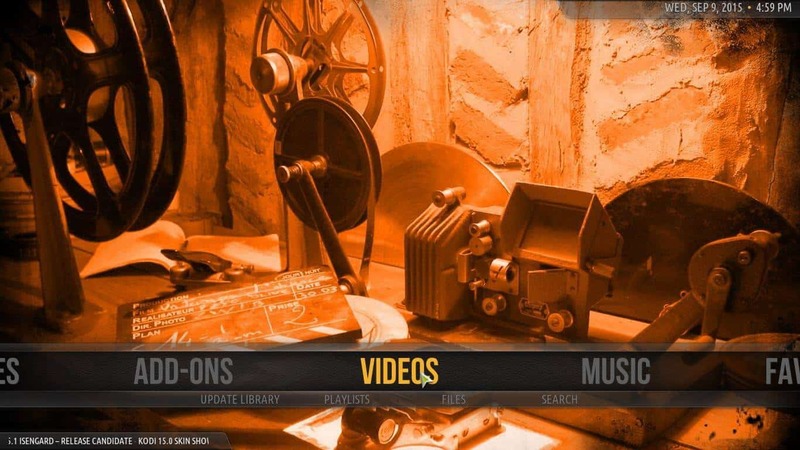 We wrote a Kodi Back Row skin review some time ago, and found out that, with this skin plugin, categories are chosen on list menus and items are selected on movie reel menus. 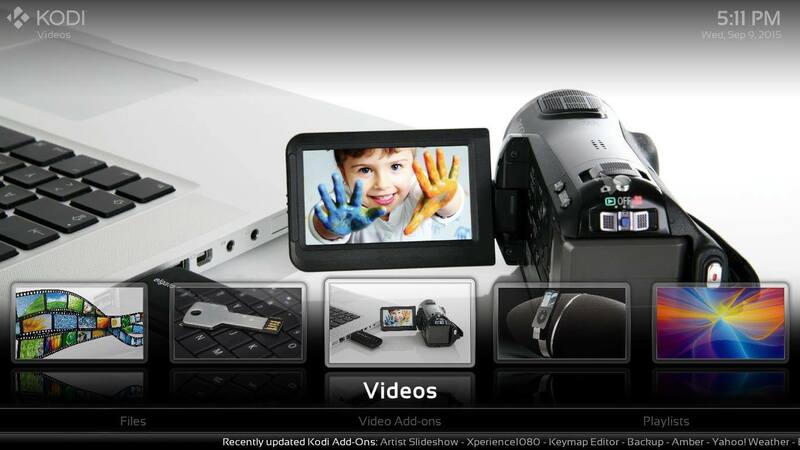 Definitely one of the most eye-catching Kodi skins for tablets out there. A clean and polished Kodi touchscreen skin that allows you to change the color of its reflections. 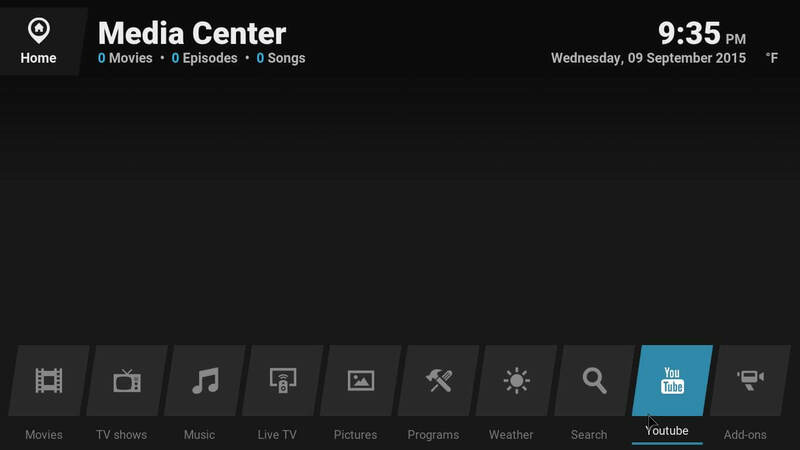 Black Glass Nova skin for Kodi is optimized for touchscreens because the width of individual menu elements is actually pretty close to what you would expect on a touch application. Fluid transitions resize the menus on-the-go, so you have a neat and slick experience whenever you browse your media using this addon. As most Kodi skins for tablets, Black Glass Nova also lets you select from several visualizations, including big panel, list, big list and fanart, so you can have an experience tailored to your taste. This plugin is available from the official Kodi repository as well. An eye-catching menu runs on the bottom half of the screen, leaving a wide space open on top for great quality images relative to the features we're selecting at that moment. 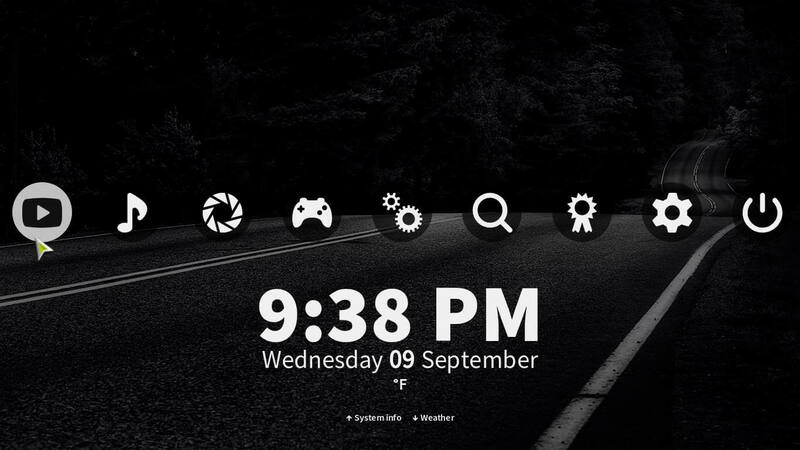 With a light and dark theme, Nebula Kodi skin is configurable, easy on the eyes and pretty fast as well, which makes it stand out against other Kodi skins for tablets. Several visualization options, such as slim list, list and even icons; which is by far my favorite. With the “icons” visualization, you get your screen covered in square icons with the logos for addons or content you want to watch, putting you just a tap away from your content. In our Kodi Nebula skin review we found out it can also be downloaded from the official Kodi repository. Not only does this skin come in the official Kodi plugin repository, but it also comes pre-installed when you run Kodi for the first time, what makes it stand out in most Kodi skin reviews. Whenever the topic “Kodi skins for tablets and smartphones” comes up, re-Touched skin for XBMC/Kodi pops up as a great option. It is specially designed for touchscreen devices, and you can test it yourself if you take a look at details such as the battery indicator on its top-right corner, or the fact that all buttons seem to be precisely sized to be tapped. Not so much regarding visualizations, but there's a very interesting one that displays content thumbnails and detailed info about the content right alongside it. 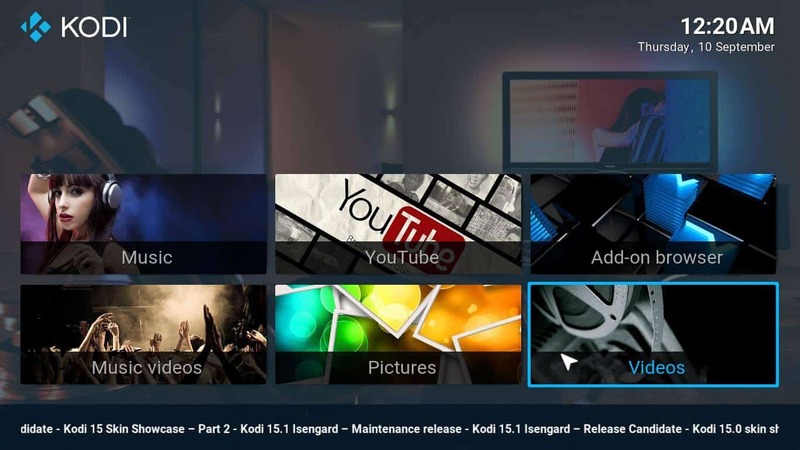 Vibrant colors and images are the most attractive features of this Kodi touchscreen skin that comes within the official Kodi plugin repository. Lots of interesting visualizations that can be switched from a side menu which can be brought out with a dedicated button, setting it apart from other skins where simply hovering your finger near the left edge opens the visualization options. 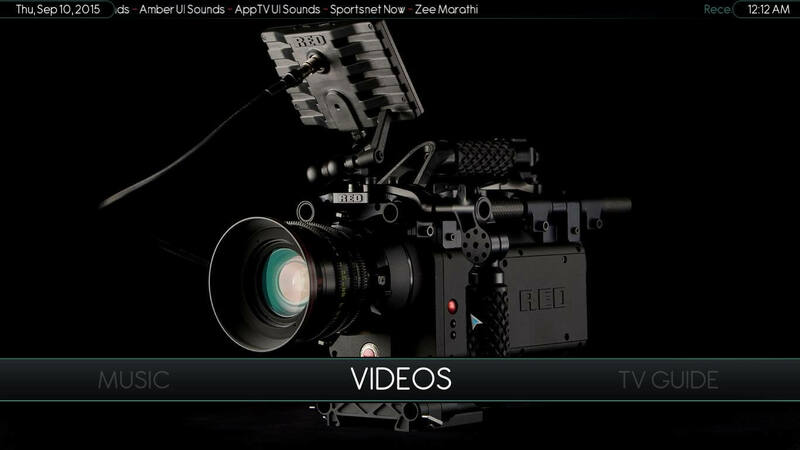 The Titan Kodi skin also has a YouTube dedicated menu item on its main screen, which integrates nicely with the other options. When watching content, the skin actually calculates at what time it will end, which is handy for late night viewing. These skins are compatible with your mobile touchscreen device and add a nice touch -no pun intended- to your Kodi experience. 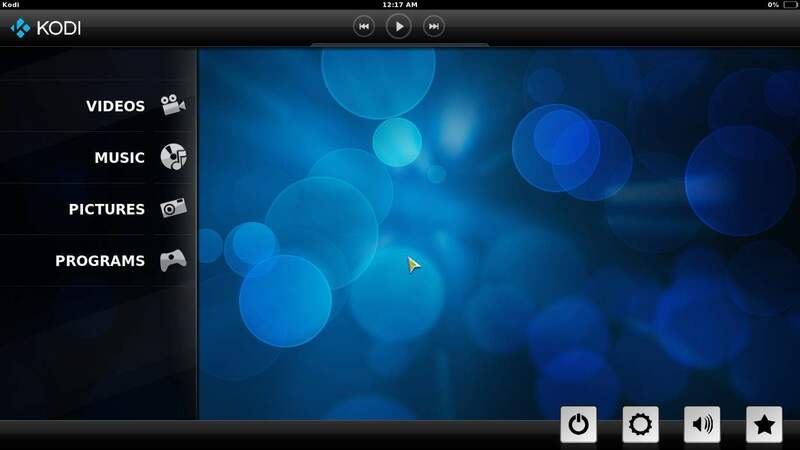 Usually you would run Kodi on a set-top box connected to your TV, such as the Tronfy MXQ Android TV box or the NVIDIA SHIELD TV, however, running Kodi on a tablet might be great for things such as watching movies on your bed or even on a long road trip. The possibilities are endless, and with these beautiful skins, and other skins for Kodi you might find by yourself, your experience can be as beautiful and convenient as you like.